Shining steel decor for your dinner table. Italian Officers' tableware made with leaded crystal and gleaming steel. This Italian Air Force Surplus Parmesan Cheese Server is elegant and practical, nicer than what you'd see in a fancy home or kitchen store. 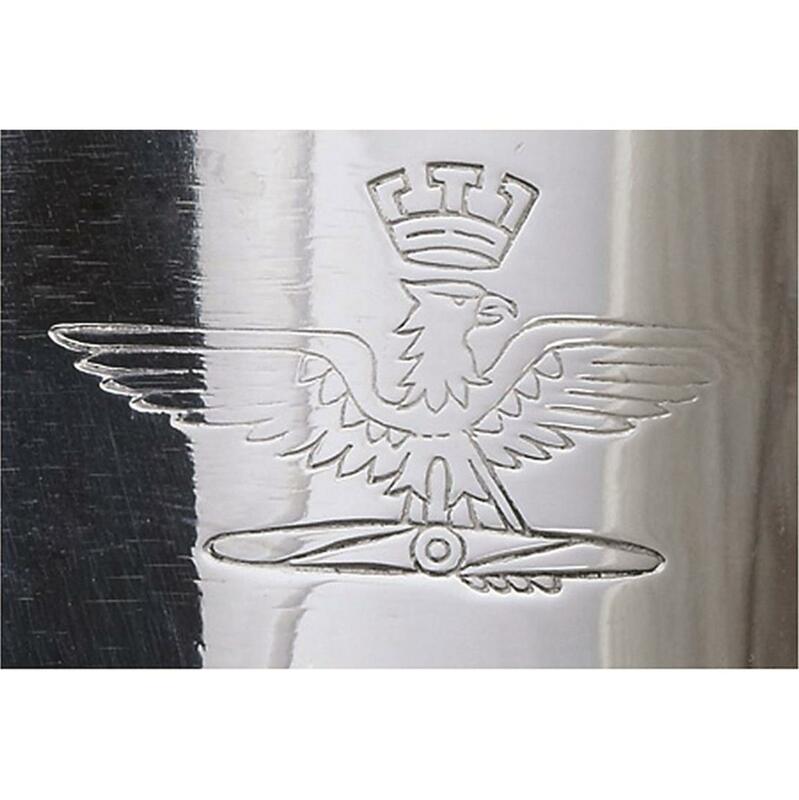 Steel pieces are engraved with the Italian Air Force symbol. 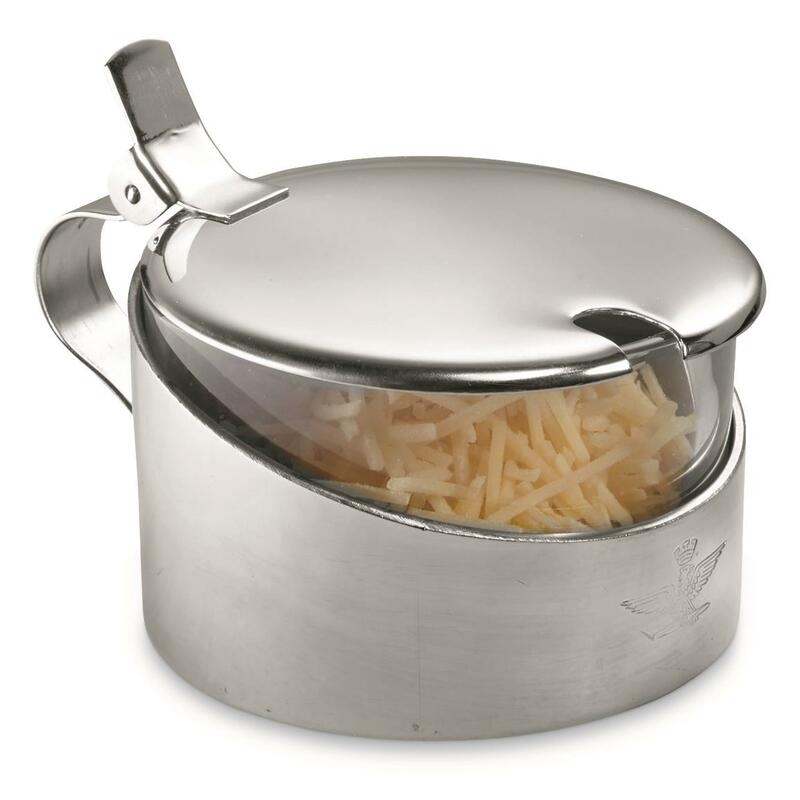 Italian Air Force Surplus Parmesan Cheese Server, New is rated 4.0 out of 5 by 9. 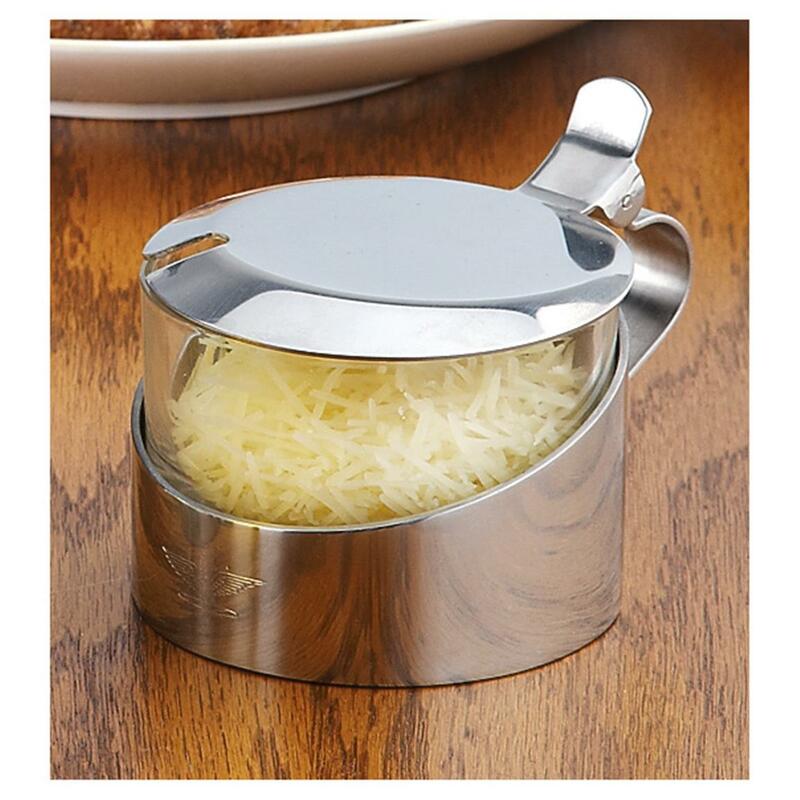 Rated 3 out of 5 by Mike from "half a loaf" Cheese server is OK - heavy and well made - but useless and out of place without the vinegar and oil set that is pictured but DOES NOT COME with the cheese server and which, as you will discover, you can't buy later. Rated 5 out of 5 by PHILLIP from I bought two for Christmas, one for my wife, one for my father-in-law. My wife loves hers and would like to see similar products in the future. Rated 5 out of 5 by CHARLES from Packed well, shipped fast. Nice quality piece. Rated 5 out of 5 by STUART from Great item! Real bargain for the money. Rated 5 out of 5 by RICHARD from Great product for the price. Sorry we missed the vinegar and oil item previously offered. Rated 2 out of 5 by ERIC from The glass liner/ container was missing. I plan on returning the item when I am able. Rated 3 out of 5 by DAVID from As indicated above, it was sent missing the glass insert. So, I cant rate it as I haven't been able to put it to use. I'm waiting for customer service to send the insert. Sparks a blaze—even when wet! Civilized eating on the trail. Don't call it survival…this is camping made "eccellente!"